Walter Nonemaker is our Director of Field Operations as well as Healing Waters’ Lead Engineer. 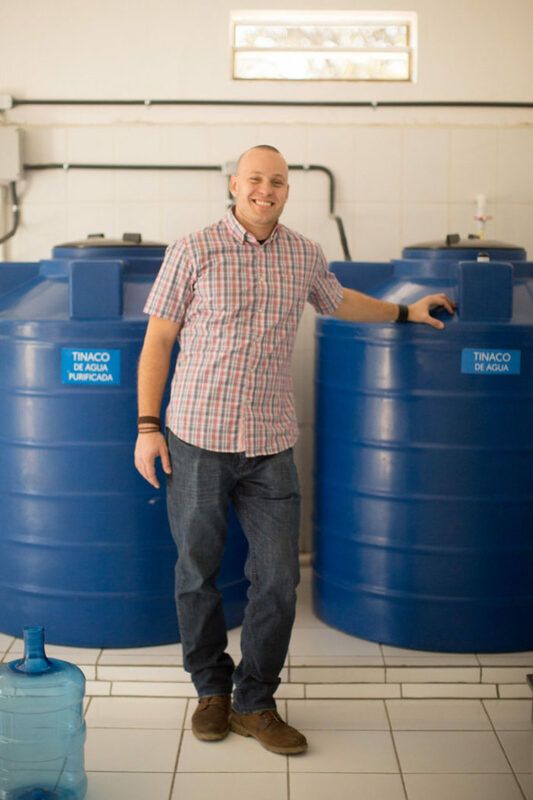 He has degrees both Civil & Environmental Engineering, and Spanish from Oklahoma State University and has been working for Healing Waters and living full time in Guatemala since 2010. His daily activities include assessing sites, developing relationships with local partners; and designing and installing water purification systems in remote communities throughout Guatemala and Southern Mexico. His vision is to see every community in Guatemala gain access to affordable, safe drinking water. In his free time, Walter likes exploring Guatemala’s beaches, volcanoes and historic villages with his wife and two children.